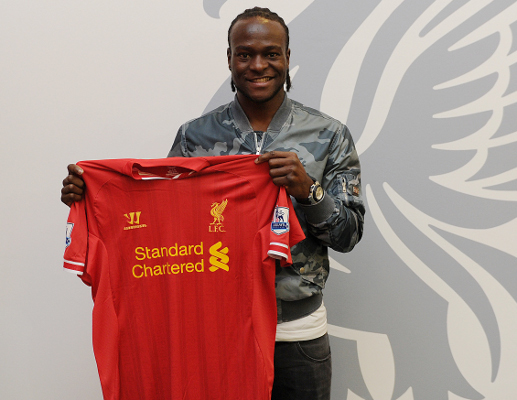 Liverpool Football Club has today completed the season-long loan signing of Chelsea forward Victor Moses. The Nigerian international will spend the duration of the 2013-14 season at Anfield after passing a medical at Melwood on Monday. After completing the move, Moses told Liverpoolfc.com: "First and foremost, I'm delighted to have made the loan from Chelsea to a big club like Liverpool. Moses joined the London outfit in the summer of 2012 and made 42 appearances, scoring 10 goals, as Chelsea were crowned Europa League champions last season. The 22-year-old is the Reds' eighth signing of the summer and the third deal to be concluded today, following the earlier announcements of defenders Tiago Ilori and Mamadou Sakho.